Happy Bears Play School is situated in Capri Village. 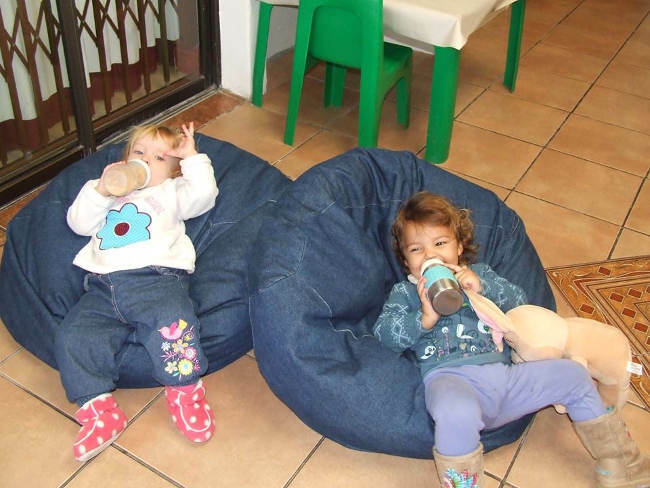 The school creates a happy, safe, fun, and stimulating environment for children from 18 months to 5 years of age. Your child has a home away from home where they form positive attachments. The environment provides your child with a sense of well-being, making them feel safe, secure, and cared for. Children are active learners. We understand that they learn most effectively through ‘doing’. This is achieved through play. Play is how children practice life. Skills are being developed and cultivated through sensory play.Sensory exploration is a child’s way of examining, discovering, categorizing and making sense of the world around them. Your child is with us for an important period of their lives, and it is essential that they get the start they need. 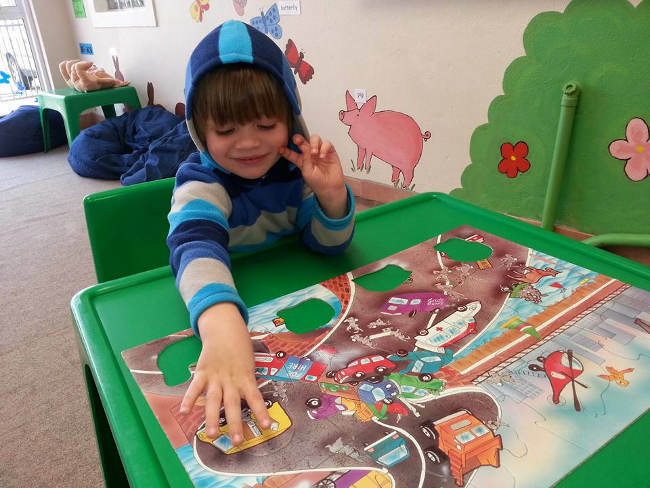 We also encompass gross-motor and fine-motor activities in our daily programme to develop your child’s co-ordination. Activities are designed to encourage the children to make choices on their own. This increases self-confidence and a feeling of self-worth in each child. All this is done at the child’s own pace, allowing them to grow and explore without feeling pressured. 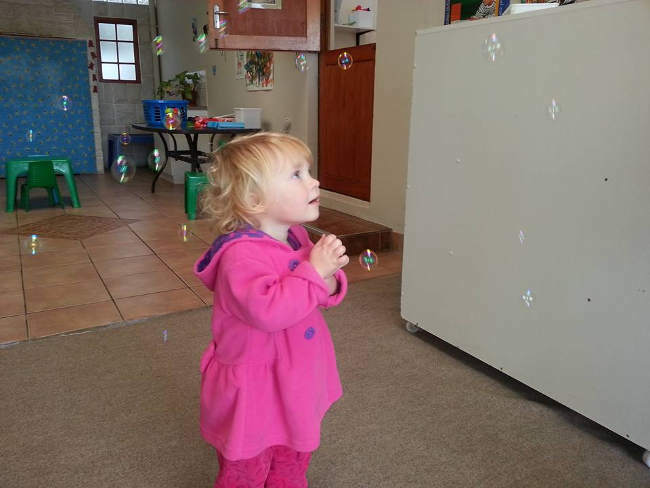 Children are individual people with individual needs, and we look to encourage this at the same time as helping your child develop social interaction skills that will allow them to play with others. Our learning through play includes sessions of sensory play, movement through music, arts and crafts, and through the use of monthly themes. All our learning is designed to encourage the mental and physical growth of your child, and to prepare them for the next step on their journey through life. To further your child’s development we have teamed up with the Tumble Bear Gym programme. Classes are available during normal school hours. Happy Bears Play School is open from 8.30am until 12 noon (from 2016 this will be extended to 12.30pm) Monday to Friday. 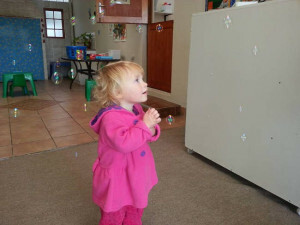 Lunette is an experienced educator with 9 years previous experience owning and teaching at Moms and Tots in Fish Hoek. She believes that education should produce happy, well balanced children ready to face life on their own terms. The right start in life is essential and has set up Happy Bears to reflect this. Thelma is a Qualified Level 4 Teacher with 7 years experience as a pre-school teacher. Please note that all photos appear with parental permission.